As my previous post on the subject of the legislation enabling women to be selected and ordained to the episcopate suggested, I (like thousands of others) was not impressed with one of the House of Bishop’s amendments to the legislation previously voted for by 42 out of 44 diocese of the Church of England. But I was also deeply concerned by the thought that women I know and admire, both priests and/or General Synod members, would prefer the amended legislation NOT to be passed rather than be passed in it’s revised form, which increases the appearances (and possibly the fact) of discrimination that will be retained in the legislation. I can understand why, but it troubles me. I have watched with interest in the last few days as first the Diocese of Salisbury, then Gloucester (with their Bishop’s address here), voted for the amendment, or the legislation in it’s entirety, to be revoked. In both cases this was done with the support of the relevant diocesan bishops! The Synodical system of the CofE supported by the majority of those who debated and voted, the legislation originally tabled regarding women bishops. 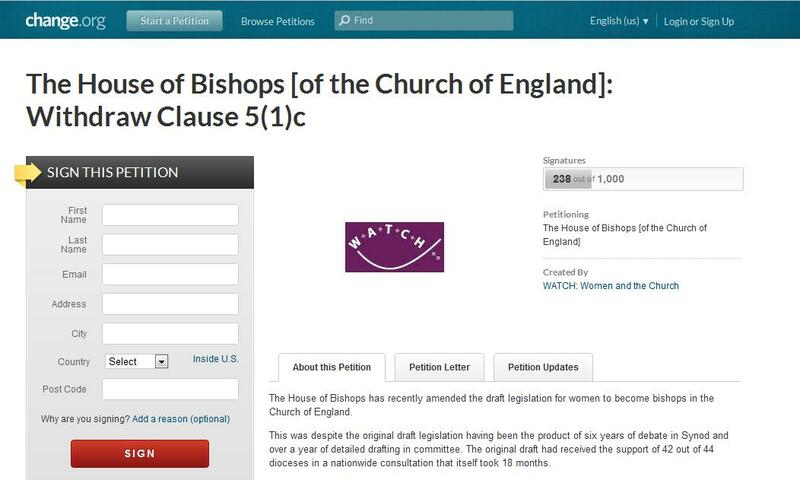 The House of Bishop’s amendment to Clause 5(1)c, seems to have made more overt the discrimination retained in the legislation, to a level that many supporters of women bishop’s find intolerable. It has also shown the leadership and legislative process of the CofE to be flawed, reducing still further the limited respect it holds both within the church it seeks to lead, and in the wider community. Please withdraw Clause 5(1)c, so that we can proceed swiftly to witness the long-over due opportunity of having our most able women appointed to the episcopate in a way that enables their relationship with their colleagues and the people of the church to exist on an equal footing to that of their male counterparts. I believe that this course of action, this step of humility by the House of Bishop’s, will enable the legislation to be passed, and thus give all those engaged in ministry within the CofE encouragement to concentrate their energies more fully on our calling under God to expand his Kingdom on earth, and glorify his name. If you feel able to sign the petitition, whether as a Anglican, a Christian of any denomination, or indeed an agnostic or atheist who supports the equal rights of women to positions of leadership, please do so. If before doing so, you want to read some other reflections and viewpoints on what is a complicated subject, I can recommend the following links: Lay Anglicana today and previously; the (new look) Church Times (which may be subscribers only); WATCH’s ‘statement of concerns’; various Thinking Anglicans links (and the comments thereon) including here, here and here. From what I can gather through some of these links, there seems to be no previous example of such an amendment being withdrawn, but Christians believe in a God of miracles, and there is always a first time for everything! I actually preached this more than a week ago, and it feeds from what I was thinking here about how our new bishop has challenged me personally. 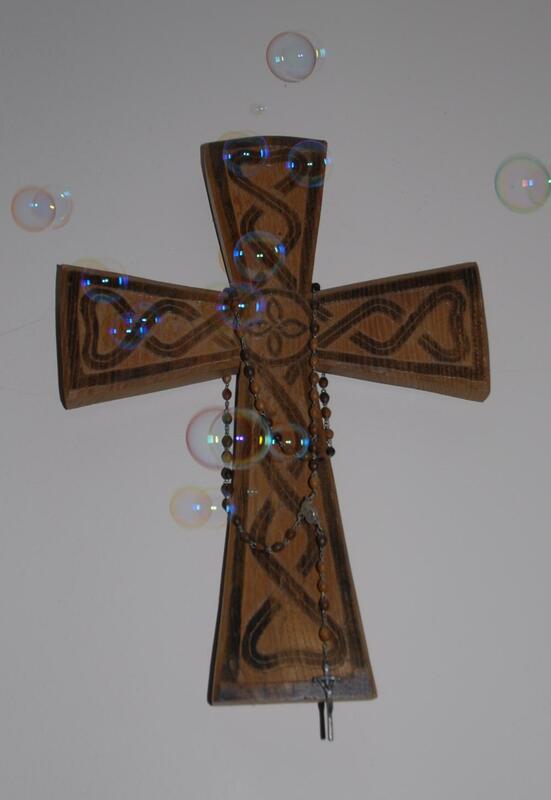 It also draws inspiration from a affirmation of faith for children which uses bubbles that I saw on Fr Simon Rundell’s blog here. I’m not sure what our (more elderly) mid-week congregation made of it, but I hope it spoke to them, and might speak to you. I wonder what connections we will each make in our minds when I say the words “washing up liquid”? We might remember that we failed to complete the washing up before we left home this morning, that (in my case) the men in my family have a habit of often leaving the dirty washing up water in the sink bowl for hours afterwards, or we might think of clean, fresh, hot washing up water, full of bubbles! I found an affirmation of faith this week, that is based round blowing bubbles, which I thought we could actually share now, rather than the creed we normally say later in the service. As you watch the bubbles form (blow some more) see the way the light shines on them: are there rainbows revealed within? Each shares the same shape, spherical, but each is different in size, unique and special. Just like us. So remembering that, can our affirmation of faith be that of answering a really positive, “Yes!” to these statements. God the Father, created these bubbles, the universe, and each and every one of us. Do we believe this? Yes! God the Son, Saviour of us all, who breathed the same air as us on this earth, the same air with which these bubbles are filled, lives today in our hearts. Do we believe this? Yes! God the Spirit, who moves these bubbles, and which fills this space with power from on high, plays within us, guiding and strengthening us. Do we believe this? Yes! The fine film of soapy water that forms those beautiful spheres has been popped by the air pressure in the world around us. Their strong but fragile surfaces have broken; died if you like. The soap detergent that forms those bubbles, and does all the hard work in our washing up bowls to make things clean, can only do so much, before the dirt and the pressure of air around them, brings their lives as bubbles to an end. Which is I guess where we hope we’re like the last remaining bubbles, hanging up there in the air, perhaps stuck to something, and where perhaps the analogy could end. But I know there are times in our lives when we feel weak. It’s like the bubble of exciting, joy bringing, brightly coloured life that we were, has been popped. It might be through age, illness, the situations that are putting pressure on our lives (like an impending house move, or a change of jobs), but that sense of weakness can come to make us feel that we’re useless, to God or to anyone else for that matter. In 1 Corinthians 12:22 we read just now “Those parts of the body that seem to be weaker are indispensable.” The bubbles, or at least the detergent that forms them, may be weak but it is indispensable – certainly if our dishes are to be cleaned thoroughly, and we are to have fun blowing bubbles with our children and grandchildren! It’s not the size, the shape or the number of colours that we exhibit, but what we are made of that is important, and what holds us together. If, as this whole section of Corinthians is suggesting, we are the Body of Christ, and we all have a part to play, what is our part when we go through those weak periods, or enter a stage of life where we can’t physically do as much as we’d like. It’s all very well being told we’re indispensable, but how can that indispensibility manifest itself in our lives? 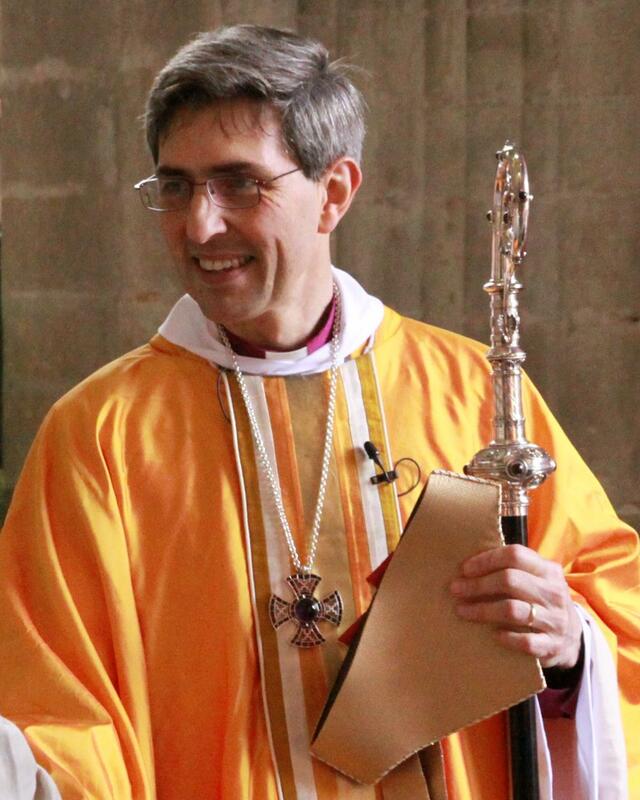 When our new Bishop Tim was enthroned back in April, he called all those who live and worship in the Diocese of Winchester to be three things. He called us to be prophetic in mission, pioneering as faith communities, and… and this is the one that is particularly pertinent here… he called us to be passionate about our personal spirituality, our prayer life, the rigour with which we exhibit our faith in patterns of prayer. Prayer should be like the very thin film of soapy water that forms a bubble. It’s where the strength of the bubble is. Yet like the film that forms a bubble, our prayer lives are often the first thing to break when we touch something dirty or a hard surface. Life gets in the way, and the pattern and form of our prayers are what takes the first hit. 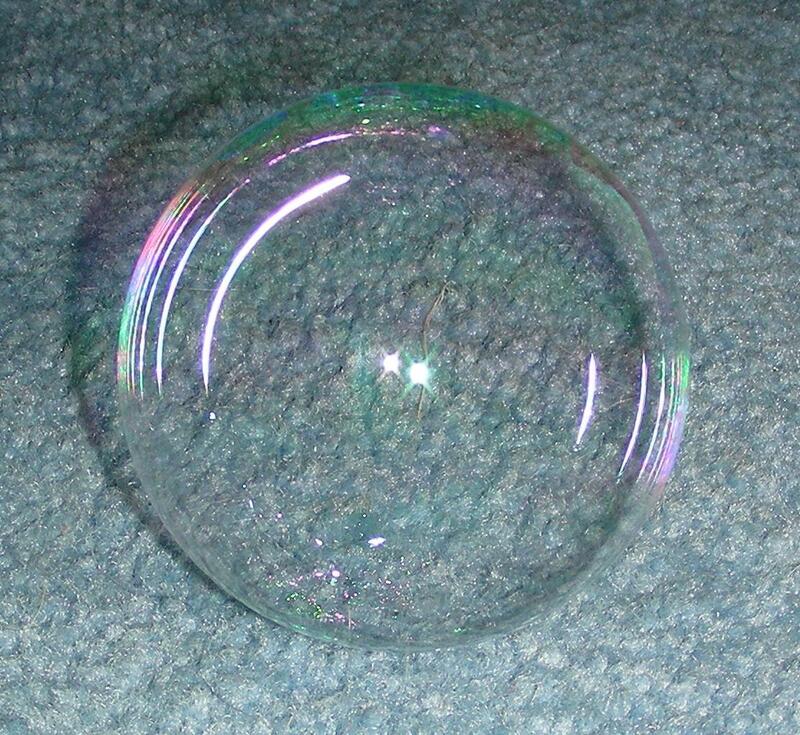 When I was young and blowing bubbles more often, my Mother used to add glycerine to the bubble mixture. The glycerine seemed to make the bubbles form more easily and last longer. Interestingly glycerine is the same stuff that when added to the royal icing at Christmas makes the Christmas Cake easier to cut open and share. I have no idea why. So if we are God’s indispensable bubbles, a bit weak and prone to going pop, what can we do with our prayer life to make our individual bubble stronger? What is the glycerine, if you like, that we can add to it? Can that glycerine be used to make something else easier to share? This is something I’m grappling with myself at present, and I’m not going to pretend to have an answer, let alone ‘the’ answer. What I am aware of is that it’s a question we need to take seriously, and apply individually to our own circumstances, our own weaknesses. In my case I’m being encouraged to do two things at present. I’m only just starting out with these ideas, but they are things that might help others, or into which you can shed some insight for me yourselves. The other is to join with others across our Diocese in patterns of intercessory prayer. Each month the Diocese has an intercessions list (downloadable here), where the international links and individual parishes of the Diocese are outlined day-by-day, so that each parish, minister and mission idea is surrounded by our prayers. Our new Bishop is also encouraging us to pray for nine days (a Novena) for the wider church, the issues and arguments that are plaguing it, and the individuals that are coming forward this Petertide to be ordained into it from around our diocese. I will be using elements of that cycle of prayer and novena in our intercessions shortly, but it struck me that such intercessory prayer, alongside things like our own parochial Emergency Prayer Chain, are like the glycerine that will actually enable us as a church, to be shaped and cut in such a way as the Gospel of Christ is more effectively shared. In that way we might be better able to be a more pioneering faith community that will inspire prophetic mission, just as our Bishop has suggested we should be. So I want to suggest that however weak we might be feeling, physically or spiritually, the one thing that we can do, that will show just how indispensable we are, that will strengthen us and help our church to be more pioneering and prophetic, is to find what glycerine we need, and pour it into our prayer lives! 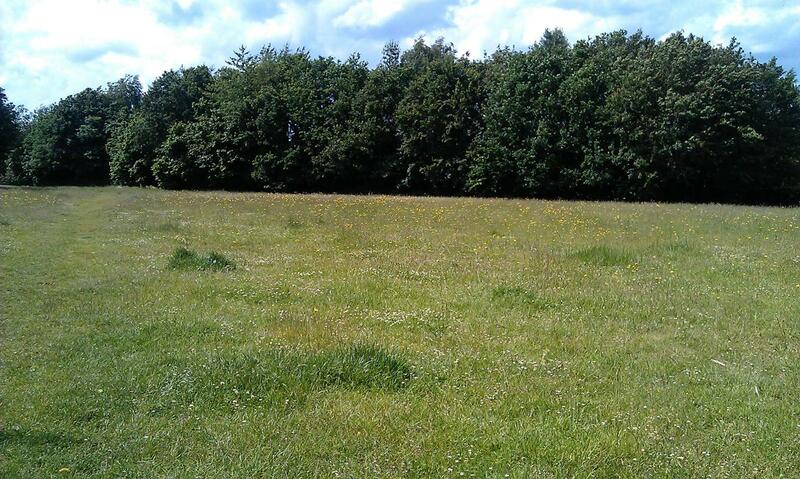 I want to publicly thank Hart District and Yateley Town Councils for NOT mowing the grass, especially that in the fields adjacent to the Red Cross Centre in Yateley, which forms part of my regular dog walk. PLEASE keep up the good work! 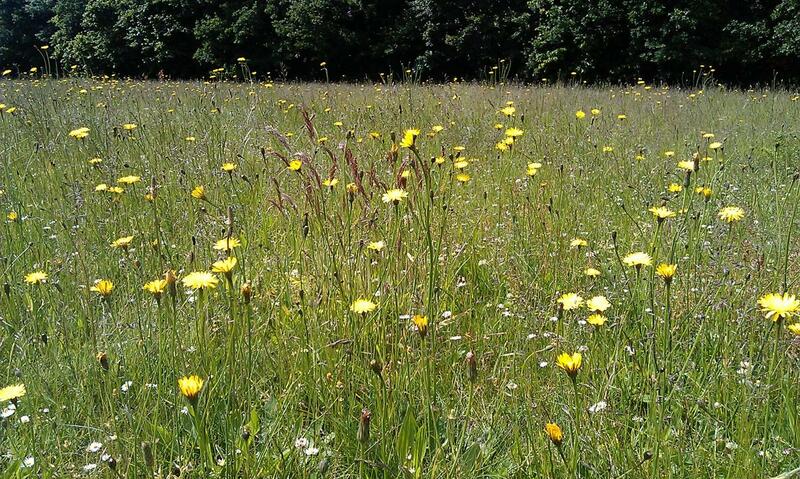 The poor photo below, taken with my phone, should (if better) show a number of the plant species present, over and above a range of grasses I’m not knowledgeable enough to name. There are yellow Hawkweeds, Plantains, White Clover, Daisies and Buttercups, and also a tiny white star shaped flower, that I ought to identify. Here they can prosper and seed, bringing the colour of summer to all who visit; little things, but not to be missed or mowed. 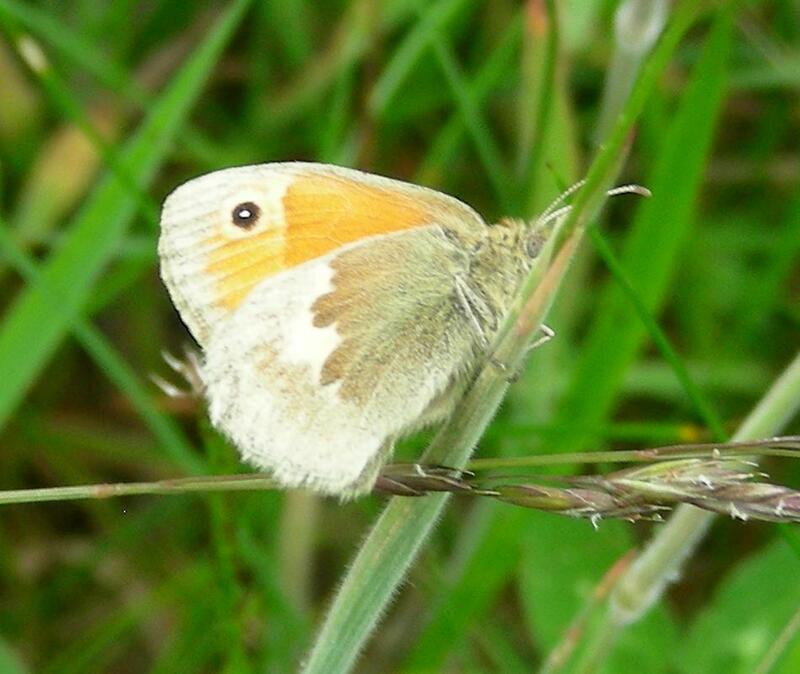 There are also pockets of Ox-Eye Daisy appearing at the edge of the field and the list could be easily extended through a detailed survey and with a little help from some wildflower mix, which surely can’t cost any more than a trip from the mower men! 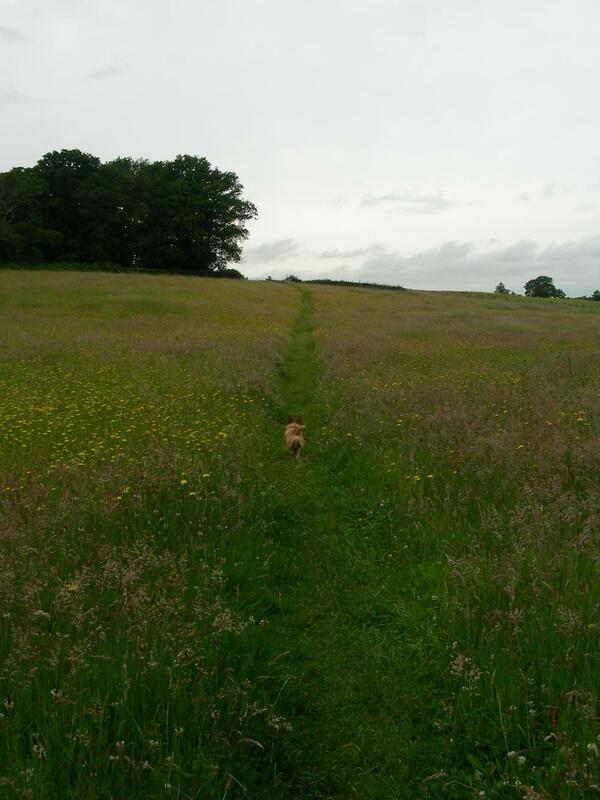 It may look like a scruffy bit of grass, but if the weather was just a little warmer and less windy this lovely field would be alive with insects, helping to attract even more birdlife to the area, and bringing even more joy to people’s lives. 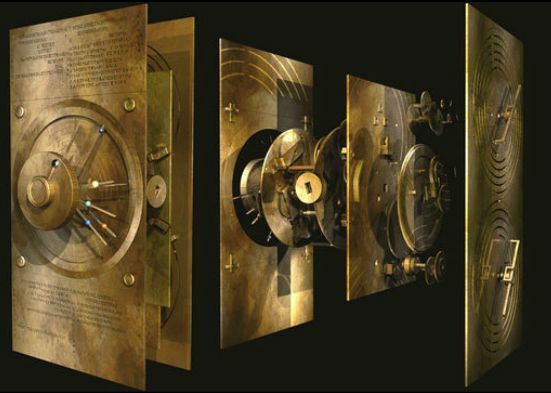 I led and preached at our 8am service this week, using as my ‘hook’ or image a BBC4 programme on the Antikythera Mechanism. Not my usual style, but I hope God spoke to someone through it! My family possibly have a rather obscure taste in television, but we watch a lot of BBC4 programmes. This week we found a treasure, a documentary about something called the Antikythera Mechanism. This lump of calcified stuff was picked up more than 100 years ago by a bunch of divers off the Greek coast. To see the detail of this ancient mechanism, now recognised as the world’s first computer, universities and industry created one-off specialised computer imagery techniques to scan and create 3D images of the fine multiple layers in this rather unprepossessing lump that lives in a museum case. The programme detailed the high tech, and trial and error, processes by which they revealed the layers of fine gearwheels within this 2000 year old object. If you can still find it on iPlayer I thoroughly recommend it, as I’m not going into a long explanation this morning. Because the programme got me thinking: if we as the group of people called St Peter’s Church, were studied in the same level of detail, what would be revealed? The passage we heard this morning from 1 Corinthians 12 is well known. Those of us familiar with it will have been reminded that there are many ways in which we are gifted by God through the Holy Spirit, to respond to God incarnate in Jesus our Saviour. Hopefully we also recognise that one spiritual gift is not any better than another, that the list that St Paul’s gives in the passage is possibly not exhaustive (as that would be restricting God and the contexts in which he has operated over two millennia), and that they are not validated if we keep them locked up inside a ‘glass cabinet’ of our fears and inhibitions without using them. For example, wisdom and knowledge have to be spoken or uttered (their message given) for them to be of any use to the Body of Christ. So we might think that if someone was to do a detailed 3D scan of us as Christ’s body here in Yateley, it should reveal the different giftings that we have, how they relate to each other, and work together to explain something; hopefully the Gospel! This should be completely true – though rather frighteningly it would also reveal the faults in our mechanism where perhaps the cogs have broken off, or the dials aren’t turning! At one level this is completely true, but it’s not really the whole story. On the Antikythera Mechanism was found minute, but detailed, Greek lettering. Eventually the high tech equipment deciphered this, a missing piece of the mechanism was located in the museum collection, and the result explained what the mechanism was used for; predicting things like solar eclipses and the timing of the ancient Olympics! So it wasn’t just the mechanisms and how they fitted together that revealed what the mechanism did, and thus its true use and identity, but the small print and fine detail. If we relate that idea back to our passage this morning, it’s the detail of what is said and done through the use of our spiritual gifts that reveals our identity. Since we’re not the world’s first computer as revealed on TV this week, what are we? Our work, service and gifts, all different, but applied in relationship to each other like the cogs of fine clockwork mechanism, should reveal our identities, under the scrutiny of the world’s gaze, as being God’s people. More to the point, if we imagine that it’s God that’s wielding the high-tech scanner, how closely do we live up to his expectations of who or what we are made to be?! Which for me is where it gets scary. If I, or we as a fellowship, were put under God’s 3D scanner, how closely would our identity be revealed as being true to the nature of God, he who made us and brought us together!? If that scanner reveals the fine print of our private attitudes, any sense of begrudging our service, or thoughts and emotions that perhaps only the cat sees when we kick it, or the telly hears when we shout at it, what does that reveal about the depth of our faith, our true identity? Because our identity under God, is as being part of Jesus’ risen body, not just the collection of people on earth who believe in God. Christ as the Messiah is the one who represents his people, and in that role suffered on the cross and rose again for the forgiveness of our sins. But as the Messiah he is also the one in whom we God’s people are summed up; the totality of who we are, is Jesus. Or at least it should be. Which is why we turn to our crucified Messiah and seek his forgiveness, because we know that individually and corporately we are not revealing our true identity as Christ’s. It is only through God’s grace, his love freely given to us all, that we can be repaired to more fully be revealed as Jesus’ people.